Central Pacific Railraod in the Sierra Nevada mountains. 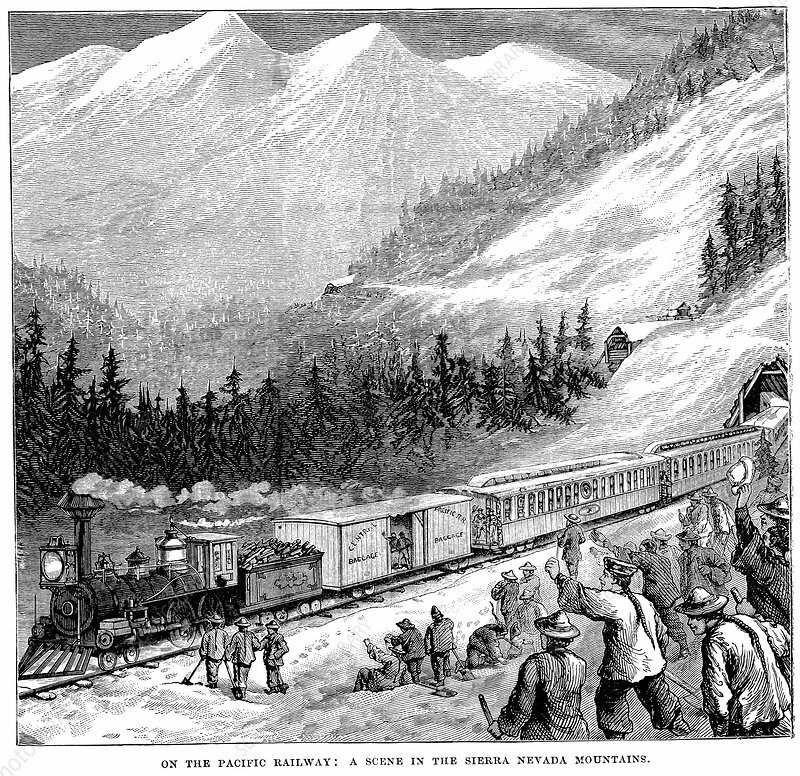 Train cheered by railroad workers, including Chinese labourers. Wood engraving c1875.